With offices in HCMC and Hanoi, Rajah &Tann LCT Lawyers (R&T LCT) is one of Vietnam’s leading full-service law firms providing a combination of practical legal solutions with responsive service to a diverse base of clients. R&T LCT’s practices span multiple fields. It is regarded as a market leader in dispute resolution (litigation and arbitration), and corporate advisory and M&A. In its banking & finance, and real estate & infrastructure practices, R&T LCT has been behind precedent-setting transactions and projects of national significance. The firm also has a dedicated team in technology, media and telecommunications. R&T LCT and its team of professionals are regarded in the market, having received recognition by global publications such as Chambers Asia-Pacific, The Legal 500, IFLR1000 and Asialaw Profiles. Rajah &Tann Asia (RTA) is the region’s new “home team”. 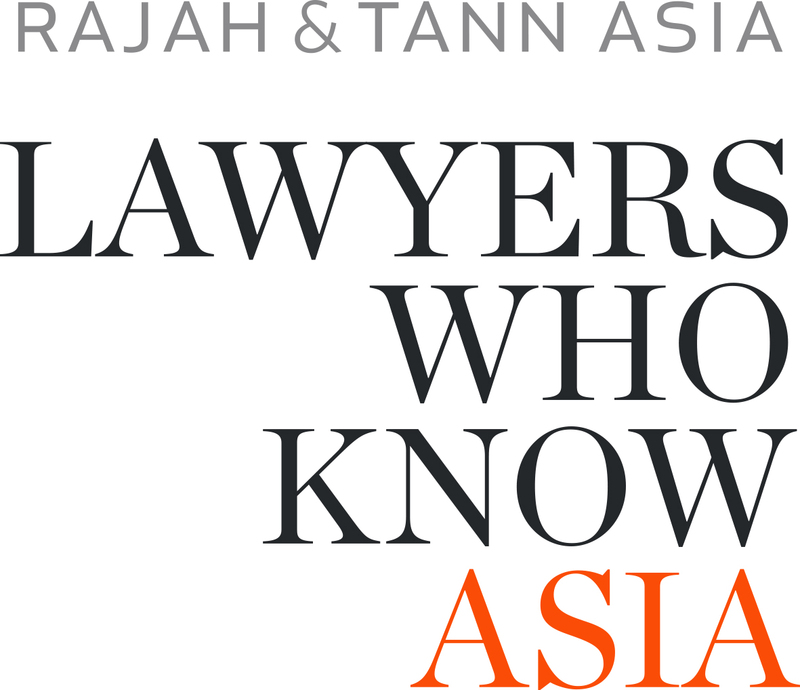 By bringing together leading local law firms and lawyers in ten countries, RTA is the first unified and coherent legal services offering in the Asian region. The team includes legal firms in Cambodia, China, Indonesia, Laos, Malaysia, Myanmar, Philippines, Singapore, Thailand and Vietnam. Each firm offers the highest standards of service to its clients. Collectively, with more than 600 lawyers across all offices, the network has the capacity to handle complex regional and cross-border transactions and provide seamless legal counsel across the region. Raptakos, Brett & Co., Ltd. has been serving the medical profession globally, with a wide range of high quality healthcare products for nearly 8 decades now. Raptakos, Brett & Co. Ltd. was established in 1930 by two great visionaries – Mr. A. Raptakos& Mr. W. H. Brett, with the mission of serving the nutritional needs of people. Over the past eight decades, the company has shown consistent growth and acquired a well-earned reputation for serving the medical profession and patients alike with a portfolio of innovative products. Even today, this remains the guiding principle that propels us to innovate and excel in the field of pharmaceutical and nutraceutical formulations. The Renaissance Riverside Hotel Saigon is the leading 5* lifestyle hotel in town and located right in the heart of prime Saigon’s shopping and business district with sensational panoramic views of the Saigon River. Fully equipped with the latest in technology, our conference and meeting facilities are the perfect venues for exclusive small to medium-sized events. With Marriott‘s Meeting Service App and MeetingsImagined.com will give you the power to make requests at the touch of a button, now brings the same level of innovation to billing, making the entire process easier. RHT Law Taylor Wessing Vietnam offers clients access to a network of over 1200 legal professionals across 30 offices in Asia, the Middle East, Europe and the United States of America via our membership with Asean Plus and the Taylor Wessing group. The Firm traces its beginnings in 2005 when a team of experienced Vietnamese lawyers came together to set up what was formerly known as PBC PARTNERS. A subsequent joint venture in 2016 with the 6th largest Singapore firm RHTLaw Taylor Wessing led to a brand relaunch and the firm became known as RHTLaw Taylor Wessing Vietnam. Since then, the Firm has experienced strong growth and is now recognized as a leading law firm in Vietnam. It is ranked the 9th largest in Vietnam for 2016 and recognized internationally by publications such as Asian Legal Business and IFLR1000. With offices in Ho Chi Minh City and Hanoi, RHTLaw Taylor Wessing Vietnam is recognized as a go-to law firm in Vietnam. The Integrated Terminal Facility (ITF) at Riverbank Vietnam Co. Ltd is strategically located next to the Go Dau Port, built on a 35,000 square meter plot of industrial land in the My Xuan A Industrial Zone. The ITF house perform key activities as a distributor including drumming, thinner blending, tank rentals, warehousing and storage using shore tank facilities. Riverbank Chemicals Pte Ltd, is currently our Group's headquarters as well as our regional sales and procurement centre. And the establishment of Primechem Malaysia Sdn Bhd hosts the main thinner blending facility as well as warehousing and storage point for both domestic and export markets. RM COINTREAU VIETNAM CO., LTD. The French, family-run Rémy Cointreau Group is a leading operator in the global Wine & Spirits market with 1,800 employees worldwide. The Group, whose origins date back to 1724, is the result of the merger in 1990 of the holding companies of the Hériard Dubreuil and Cointreau families, which controlled E. Rémy Martin & Cie SA and Cointreau & Cie SA respectively. Rémy Cointreau Group has a portfolio comprising 10 upmarket brands of international renown: the Rémy Martin and Louis XIII cognacs, the Cointreau liqueur, the Metaxa spirit, the Mount Gay rum, the St-Rémy brandy, The Botanist gin and the Bruichladdich, Port-Charlotte, and Octomore single malt whiskies. Rémy Cointreau is listed on NYSE Euronext Paris. Rosemont Vietnam is a multi-disciplinary advisory firm providing services to entrepreneurs and corporations, for the structuring and administration of their affairs. With qualified and experienced teams of accountants, tax advisors and lawyers, established in Hong Kong, Ho Chi Minh City, Bangkok and Singapore, as well as strategic partnerships worldwide, Rosemont Vietnam is capable to offer integrated business services to its clients. Mr. ROU with a special passion for BBQ pork jerky or more commonly known as Bakkwa (a very popular snack in Singapore, Taiwan, china, Thailand) left Singapore to travel far and wide in search for the most tasty bak kwa and finally found the recipe from a trip in Thailand. He wants to spread his passion beyond the frontier of Singapore, and has chosen Vietnam as the first and most ideal destination to settle down. of this industry in Vietnam. With these advantages, RSM Vietnam has possessed the valuable manpower resources to confidently provide professional services requiring full understanding of Vietnam business climate and with international quality standards. With our mission “RSM Vietnam wants to be your great business partner by way of bringing creative added value solutions to your success in local and global environment”, we endeavor to provide our clients with professional services following international quality standards adapted to Vietnam business environment. Currently, we have the offices in Ho Chi Minh City, Hanoi and Danang with the total of employees close to 300 people (with more than 30 professionals holding CPAs issued by the Ministry of Finance). RSP ARCHITECTS PLANNERS & ENGINEERS (VIET NAM) CO., LTD.
RSP Architects Planners and Engineers (Vietnam) Co., Ltd. as the Vietnam branch office of the RSP Group of consulting firms, was incorporated in 1st June 2004. From late 2006 to present, we have experienced rapid growth to the current professional and technical staff strength of 54 people. At the moment, we are located on Floor 3A, Block B, Copac Square Building, 12 Ton Dan, Ward 13, District 4, Ho Chi Minh City and at Room 701, 7th Floor, CTM Building, 299 CauGiay Street, CauGiay District, Hanoi. With our vast experiences, creative design and technical know-how coupled with the required support from our Singapore head office and RSP worldwide network, we are committed to meet client’s needs and expectations by delivering professional services with excellence.